With 2015 coming to an end comes the passing of yet another New Year’s fleeting resolution. Typically, come the first week of January, many people find themselves in the gym, but the treadmills, the spinning room and the weights soon end up suffering separation anxiety as the promise of being there fades as quickly as the intention. While I don’t doubt your commitment to whatever it is you want to change this year, I do suggest breaking down the resolution and evaluating it for what it truly is … a way to be happier. In most cases, we are wishing for things like weight loss, new jobs, maybe even a promotion or more money: these are all ways society makes one think we will do better, maybe even be better. I am here to tell you that even if your resolution is not out of reach, keeping that promise once the champagne bottle is empty and the confetti is swept into the trash may be harder than it seems. If the goal of the resolution is to be happy, you don’t need to concoct up some big, life-changing idea. 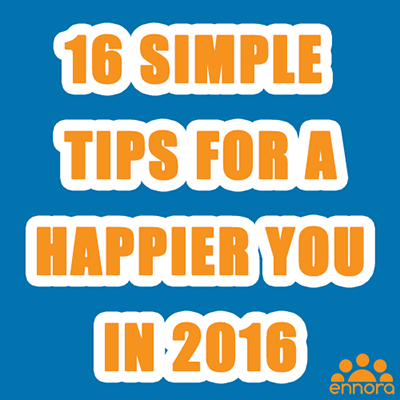 I am here to offer 16 tips that will make you happier in 2016. There is a science behind the correlation of using electronics before bed and it resulting in it taking longer for one to fall asleep. According to the National Sleep Foundation, electronics before bed suppresses melatonin, the hormone that controls your sleep and wake cycle, keeps your brain vigilant when it shouldn’t be and has been known to wake us up, whether it be from the notification of a Facebook message or the ring of a late night phone call. It may be time to put your television remote and cellphone somewhere other than your nightstand before your go to bed and truly get a good night’s rest. Building off of tip number one, I am here to tell you what you may think is already blatantly obvious: the importance of sleep. Insufficient sleep has gotten so bad it has actually become a public health problem, according to the Centers for Disease Control and Prevention. Regardless of why we are sleeping less, we should be aware of the many benefits resulting from sleeping more. Sleep is a two way street. The better you sleep, the happier you are, and the happier you are, the better you sleep, according to an April 26, 2013 Cornell Chronicle article titled, “Good night's sleep linked to happiness.” While it may seem impossible to get more sleep with such busy schedules, remember that this is one of the most simple tips there is, so take advantage of it. Look up from your phone. Engage with those around you. Immerse yourself into whatever situation you find yourself in. You aren’t helping anyone, certainly yourself, by browsing Instagram over dinner. While social media is intended to connect people, it can be detrimental to connecting with those who are right in front of us. You will eventually forget almost every insignificant thing muddling your newsfeed, but you will never forget, and I go as far to suggest you might even cherish the moments spent with friends and family, that is, when you aren’t distracted. 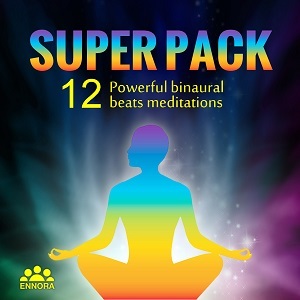 While it may sound difficult to sit and essentially do nothing, meditating for as little as five minutes a day will eventually improve not only how happy you are, but also improve your overall health and reduce unwanted things, including stress and depression. If you are unfamiliar with how to meditate (where you place your hands, legs, even your tongue) simply search a ‘how to’ video to get you started. Remember that weight loss resolution everyone had on their minds? Why not kill two birds with one stone with this simple tip. As little as 20 minutes a day is all you need to be happier, and this exercise doesn’t even have to be done in 20 consecutive minutes. Exercising releases the endorphins that make you happy, and it also has extra perks like increasing brainpower and lowering your mortality rate. If that isn’t something to be happy about, I don’t know what is. Whether or not money can buy you happiness is still up for debate. I struggle internally all the time with this idea. Sure, money can’t buy me happiness, but I would be happier if I wasn’t worried about paying my rent this month. While this may be the mindset of many, it is important to keep in mind the things that are important: the people in our lives who care for us and who we care for. Money cannot replace any of them, and in no way should money ever conflict with the things we should truly be thankful and happy for. It's easy to distinguish all of the things we are grateful for during the holidays, but as soon as we have to rejoin the workforce and continue with the day-to-day tasks we are not so grateful for, it becomes a much more difficult endeavor. There are, however, scientific benefits to being grateful all year round, including improvement of physical and psychological health, opening doors to new relationships, improved self-esteem and being grateful helps you sleep better (see tip number one and two). Smiling and laughter may be the keys to unlocking happiness. When you smile, you physically look and feel better. Smiling is also contagious, so the more you bare your pearly whites the more others will smile at you, thus making them look and feel better. It’s a cycle you will never want to get out of. Wait, isn’t being vulnerable a bad thing? We build up armor around us like a thick layer of bubble wrap so no one can hurt us, but that may be hurting us more. When we are vulnerable, we are accepting our flaws and putting them out there. We are taking chances on relationships and jobs that may never work out … but what if they do? Being able to be vulnerable can lead to so much happiness if we allow it. The New Year is a perfect excuse to reconnect with those you may have lost touch with. While I advise against being obsessed with electronics, this is one excuse you can use to whip out your phone or computer. Technology gives us the opportunity and ability to connect with those around the world; this eliminates any excuses you may have when explaining why you have lost touch with loved ones. So what your alarm didn’t go off for work and now you’re late? So what you didn’t get the grade you wanted on a test? So what? When you think about all of the things you worried about a year ago, it puts into prospective how blatantly useless all of your worrying and some of those things actually were. 2016 gives us the opportunity to forget those things that made us want to pull our hair out the previous year. Embrace it, remember it and change the way in which you respond to situations that are simply out of our control. The more you help others, the happier you are. Oftentimes we find ourselves seeking to accomplish goals that will only improve our own lives. Doing things, however, such as volunteering, not only improves the community, but it also helps one acquire knowledge, raise self-esteem and you may even find some personal growth in there somewhere. While these tips are about making oneself happy, it can’t hurt to help others along the way. Read as opposed to watching television. Try out a new hobby. You don’t need to be in school to continue learning. We may find ourselves working mundane, mindless jobs until we find something more fulfilling; until then, make sure you are engaging your brains in other ways that your work is unable to. We are also able to throw sayings like, “you can’t teach an old dog new tricks,” to the wayside because our brains, regardless of age, have the ability to adapt and continue to learn. In other words, there are no excuses to never stop learning. There is no one solution to finding happiness. That’s why we have compiled 16 ways! But without finding meaning, it is hard be happy. That doesn’t mean you need to work at your dream company or have some life changing job: whether it be a hobby, religion or spirituality or even becoming a parent, finding meaning is essential to finding and obtaining happiness. This is one of the best pieces of advice I ever received after having all of my belongings stolen while living abroad. I couldn’t stop reliving the moment in the head: why did I leave my purse on the beach unattended? Why didn’t I leave my passport, medical insurance card and everything I need at home? Dwelling on it left me as hopeless as I was when I realized all of my belongings were stolen in the first place. While it may be tempting to sit and sulk over your mistakes, this will lead you to not only be unhappier but also lose self-esteem and confidence, two things you need to be happy. Thinking about problems will also lead to solutions, as opposed to dwelling on situations which only leads to more negativity. I leave you with the easiest tip there is to being happier in 2016: make your bed. I don’t mean to sound like your overbearing mother, but there are many benefits to making your bed in the morning which ultimately lead to happiness, including feeling accomplished first thing in the morning. Establish a routine. Make your bed, have your coffee, read the newspaper: this pattern leads to more serenity, thus making you less stressed and happier. Added bonus: your room looks better.